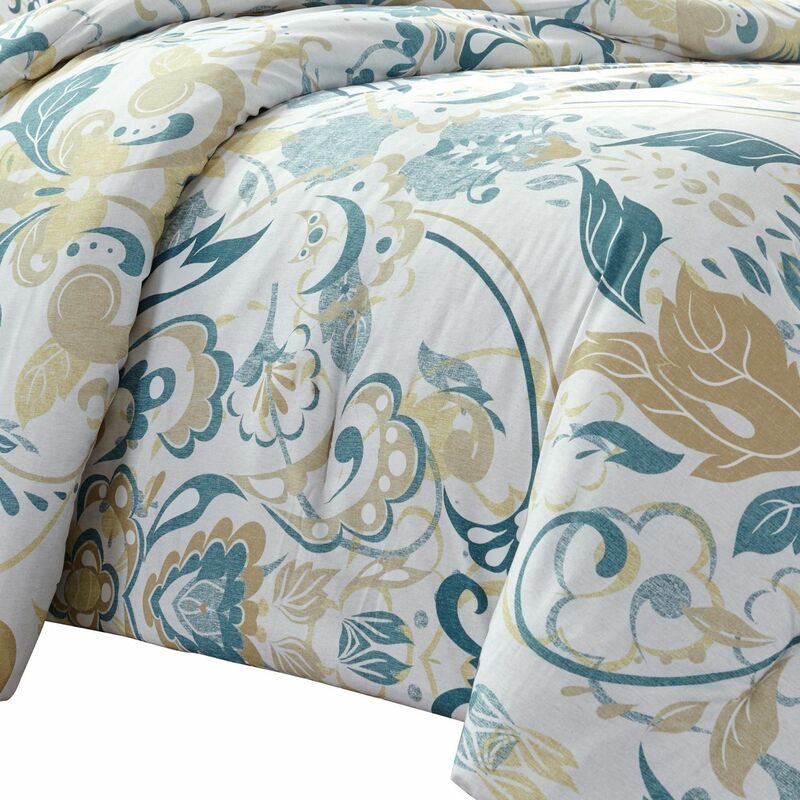 This elegant comforter set features grand scale leaf and scroll pattern in soothing gold and teal on soft and cozy microfiber. 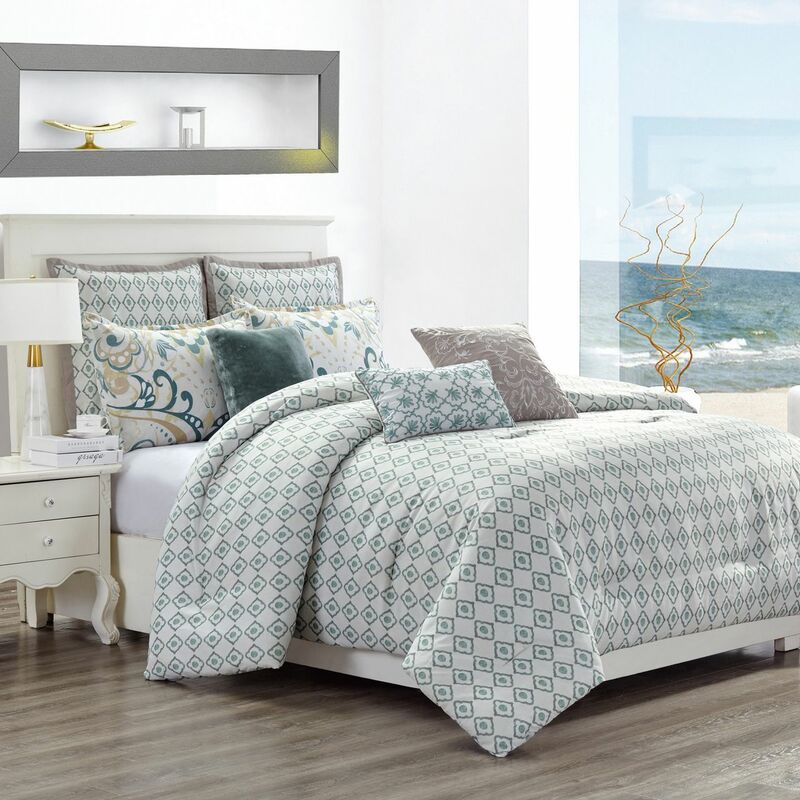 The comforter reverses to a geometric print for versatility. 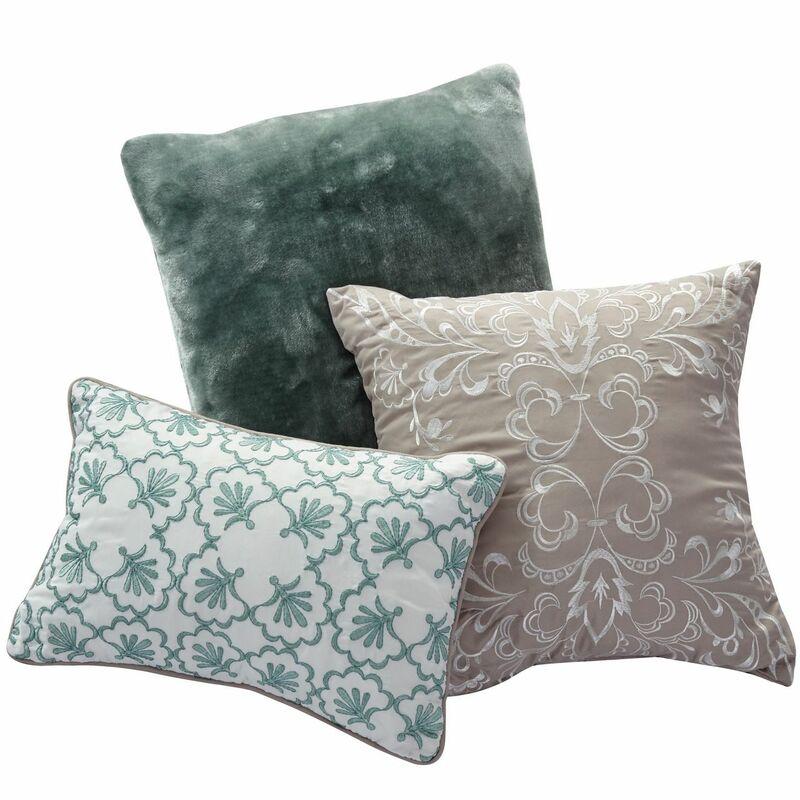 2 euro shams and 3 decorative pillows complete the look.